“Online shopping is the way of the future! Traditional retail is dead!” – snore! Every few months a blog preaching the death of traditional retail in favour of the digital experience shows up on my radar. I can’t help but chuckle as I read the misinterpreted facts and suppositions. 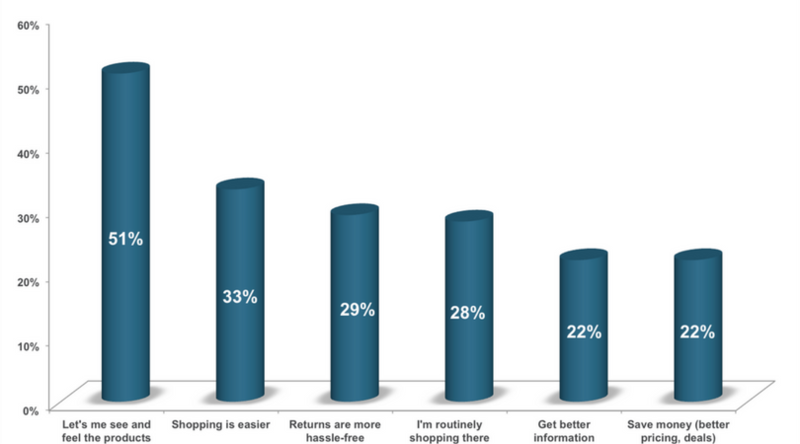 If the above graph is anything to go by, the line between customers who prefer shopping online versus in-store isn’t as clear cut as certain “experts” would have you believe. It just goes to show (once again) that brick and mortar retail is just as popular as it’s ever been. Having said that, with brands like Amazon expanding into the offline market while retaining their online sensibilities, there is a certain threat level that traditional retailers should be feeling. Amazon Go’s catch phrase of “No lines, no checkout. (No, seriously. )” should give you a good idea of exactly what traditional retailers are up against. But there’s no reason to fall into a flat panic; with analytics, actionable advice and a little effort, physical retailers can easily compete with stores like Amazon Go. One would think that eCommerce stores clearly have the upper hand when it comes to queues because queues don’t even exist online. But, as a physical retailer, you can replicate this quite easily. It’s as simple as ensuring that there are enough employees on hand to minimise customer wait time. Staff should also be well trained to service customers efficiently and, of course, with a smile. eCommerce stores have made it incredibly easy for consumers to find what they want by sorting products into convenient categories. Many eCommerce sites also have search functionality allowing consumers to quickly hone in on the product they’re looking for (or a suitable alternative). There’s absolutely no reason that this can’t be replicated in-store. Simply adjust the product layout in an intuitive way that will quickly lead customers to the section in which they’re likely to find their product. 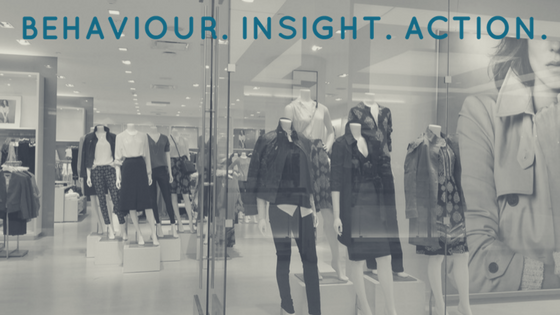 Monitoring customer movements through store will give you great insight into where they look for certain products. But don’t stop there, support this strategy by making staff available to guide customers who have difficulty finding what they want (or simply don’t want to look for themselves). Finding a deal or promotion online is easy – they’re usually prominently positioned across eCommerce sites screaming for attention with bright colours and often gaudy flashing images. And you can do the same in-store (but with a little more taste I hope). Not only should in-store deals and promotions be clearly marked, but they should be positioned in high traffic areas to ensure that your customers are aware of them even when not specifically looking for those products. There’s no denying that being able to shop from the comfort of your couch is appealing. But, by actioning the above points, you can close the gap between online and traditional retail. Want to successfully compete with online retail? Get in touch.